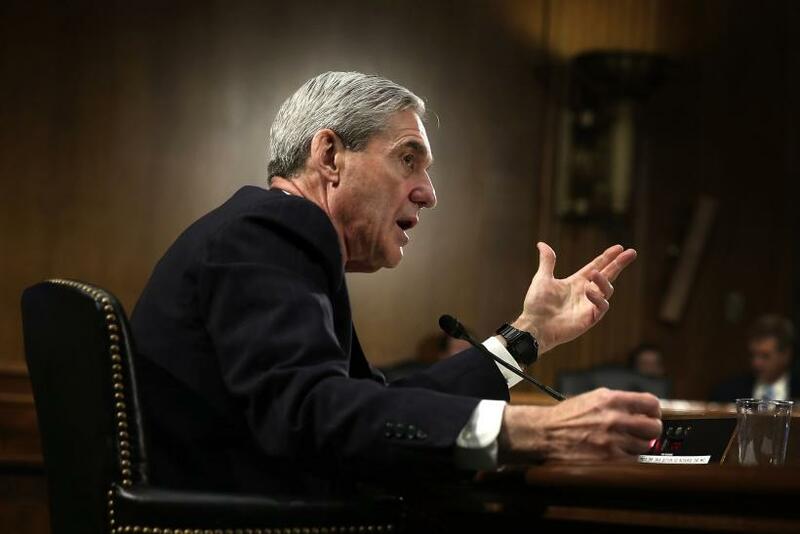 A federal judge in Washington D.C. approved the first charges in the probe — conducted by Special Counsel Robert Mueller into possible ties between the Trump administration and Russian agents — on Friday, according to a latest report. The exact nature of the charges is unclear and the name of the person indicted has not been revealed by the federal judge who has sealed the judgment. However, the person who has been indicted will be taken into federal custody on Monday, CNN reported. FBI officials are yet to validate the latest report. However, that has not kept Twitter users from hailing Mueller. Since no other detail about the indictment was revealed, it was suggested in several reports the person in question could be former National Security Adviser Paul Manafort or one of his close confidants, since he was one of the primary focus of the Mueller investigations in the recent months. Manafort, who was also Trump’s former campaign manager, was ousted from the president’s administration in August 2016 over his past business dealings with pro-Russian figures in Ukraine. Federal agents made a surprise raid in Manafort’s home, seizing documents relevant to his ties with the Kremlin in July. Subpoenas were also issued to a number of his close associates that sought financial information, which included his former son-in-law, Jeffrey Yohai, Vanity Fair reported. However, Roger Stone, a longtime adviser to Trump, told the Huffington Post that he talked to Manafort and the latter wasn’t aware of any indictment charges against him. It is important to mention the suspects in indictment cases often aren’t made aware of the charges until they are arrested for wrongdoing. While the president himself has called Mueller’s investigation “the single greatest witch hunt in American political history,” former Deputy Assistant to the President Sebastian Gorka has spoken out saying if Mueller manages to go forward with the indictment, he should be fired by Trump. However, Gorka is not the only one who is pressurizing Mueller to step down from his role as the special counsel. After the news came to light that a controversial anti-Trump dossier was funded by the Democratic National Committee and Clinton campaign, Republicans started to question whether Mueller would be paying the same amount of attention to the case against former Secretary Of State Hillary Clinton, as he has given Trump. “If the facts that you just laid out are true, then somebody with Bob Mueller’s integrity will step aside and should — if in fact those facts, as you laid them out, are true,” New Jersey Gov. Chris Christie said on “Fox & Friends” on Friday. Apart from that, Wall Street Journal editorial board also cited the dossier development when they called for Mueller’s resignation on Thursday. “Two pertinent questions: Did the dossier trigger the FBI probe of the Trump campaign, and did Mr. Comey or his agents use it as evidence to seek wiretapping approval from the Foreign Intelligence Surveillance Court of Trump campaign aides?” the editorial board wrote.